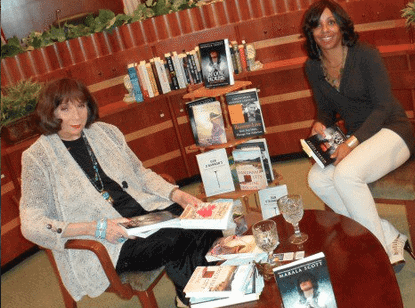 Marala Scott talks about Forgiveness, Adversity and her new book! Award Winning Author, Marala Scott talks about Forgiveness, Adversity and her new book, Intuition! 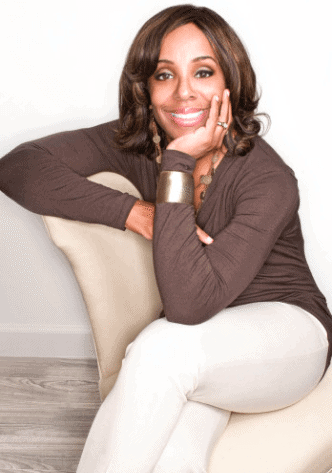 Marala Scott is an award-winning author, inspirational speaker, and one of Oprah’s Ambassador’s of Hope! Next on her list contribution is the release of her new book, Intuition. 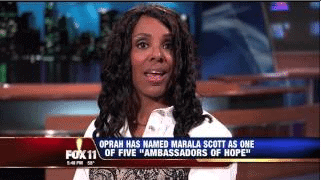 Marala Scott is an award-winning author, inspirational speaker, and one of Oprah’s Ambassadors of Hope! It is my privilege and honor to share this amazing interview I had with Marala. Next on her list of achievements is the release of her new book, Intuition. In this interview we discuss love, examine adversity and recognize hope. JEFF: Marala, you are known all over the world for your service, your voice and passion to spread your message. But for those of us who don’t know, who is Marala Scott? MARALA: I am a person that loves to spend my life helping to improve others, inspire them because of the journey that I took. I am a wife, mother, and I love the life that God has given me. That’s who I am. JEFF: You’ve done real meaningful work in helping women deal with domestic abuse and get out of abusive relationships. What was your motivation? What was the driving force to inspire and empower people? MARALA: What a phenomenal question. What drove me was pain. Pain drove me to change my life. Everything that I went through with my childhood, I came to a point that I didn’t want to feel that for the rest of my life. First of all, I didn’t know if I would make it out of that life because of everything that happened and transpired, but I knew that that was not my destiny. It was not what God intended for me to have. So, living that way and carrying that pain when I graduated high school and went on to college, I knew there had to be more and I strengthened my relationship with God, the pain began to dissipate. If you choose to carry pain, you won’t accomplish nearly what you could in life, but I drew strength from everything that hurt me. Everything I’d witnessed and everything I’d experienced, every negative aspect of my life, I realized it was there to teach me something. To teach me a lesson. My lessons were hard, but perhaps that’s the only way that I would have learned them because where I am now in my journey, I love it. I love every aspect of it, and I’ve used that to empower and help others in so many ways because I’m able to connect with them. Perhaps I wouldn’t have this incredible connection with people had I not gone through so many different layers and individual accounts and episodes back to back of pain. Pain is what brought me to this place that I am now, and I love where I am. JEFF: When did you realize that the pain in your life was life’s greatest gift to you? MARALA: Oh my gosh, it took a while because I was in denial like many people. I refused to let go of things that hurt me. I refused to forgive. I refused to live and be who I’m destined to be because I kept holding on to a negative because I thought letting go of it would mean I would be forgetting it and letting people off the hook. So, once I got to the point that I was able to forgive people that hurt me, that hurt my mother or my brothers, I was able to liberate myself. That’s when I realized that I had transcended into a better place. JEFF: Were you ever scared to share your story? MARALA: You know, there was so many different layers from early on. I knew that there’s no way that I would go through something like this for nothing. I knew there was a lesson, I knew there was something I was supposed to do with such a horrific life. I kept thinking: if I survive this! Even at that time, I kept thinking: there’s got to be something better. I always knew. Even my eldest brother told me, he said: you’re meant to share your story, you’re meant to tell this. Even my father told me, yes, you’re meant to tell this story. Although it wasn’t good for him, he even knew the power of the story and what we went through. I never really had any internal conflict other than just explaining it to my children, and they have always been my number one supporters in sharing my life but there was no conflict because it was about a greater purpose. When you think about something and you take yourself out of the picture: is it going to make me look bad, is it going to hurt me, should I not share my story, it’s going to hurt or disappoint someone else. You have to look at the bigger picture, that’s what I did. I said this is going to change and shape and help so many people. Whomever touches my story and reads In Our House is going to learn, and they’re going to learn to forgive, and learn to love, and learn to overcome adversity. There was a bigger picture, so no. No. I knew what I needed to do, and I did it obediently. JEFF: In your book, In Our House: Perception vs Reality, what can readers expect from that? MARALA: They can expect to be shocked with my story because people that read it have said there is nothing like it. They’ve never read anything remotely close. What the readers love most is they feel like they become a young Marala, and they see the story and they walk through it through my eyes but they feel like it’s a movie, like they’re watching a movie play out. The important aspect is there’s so many different lessons in there that connect to anyone, and no matter whom the reader is, that individual will learn something about life that perhaps they didn’t know or perhaps it enhances or supports what they thought or believed. There are things to avoid, it teaches you about avoiding negative points in life. How do you avoid them, how do you feed them, how do you recognize them, and how do you keep them away from your children or your loved ones or your self. There’s lessons in one chapter after another, and they’re very powerful, they’re very impactful, and they’re very painful, but the inspiration is even greater than all of that. That’s what they’ll get. JEFF: Is this message common amongst the books that you write and the books that you’re currently working on? MARALA: Yes, my message is inspirational in every book I touch because it is who I am. If somebody wants to write a story and they come to me and they say, “Marala, I’d love to share my story about this and this,” there’s nothing positive that they’re sharing or it’s negative or it’s bashing, they haven’t found the message in their life yet. I will help them write their story and see what it is, as we did with Bad to The Bone with David Tuccaro Jr. His story is incredible, and at the time that we began and he wanted to write it, it would not have come out that way had we just started working on it but we had to analyze his life and sometimes, as you step back, as I did with my life and look at it, after you remove yourself from that situation and try to look at it unbiased, try to remain unbiased and say: “Okay, am I looking at it objectively? Am I being truthful about this? Am I sharing the power of the story? Do I know what the power is? Do I know why I went through this?” When you analyze it and look at it, at that point you are able to see the truth. You really aren’t able to see the truth if you don’t see it for yourself, if you’re not being truthful. If you’re not looking at reality, you’re not going to see reality when you look in the mirror. You’re going to see exactly what you need to see to compensate for your emotional desires. If you take that and shut it down and say: I need to heal, I need to help, I need to move on… writing can do that. All of my stories have powerful, powerful lessons about helping people to follow what is right and not what they want. What they need and what they want are two different things, and what God wants you to have is completely separate from what you want, but it teaches you patience, understanding, love, forgiveness. So many powerful emotions that we overlook and don’t think we need until it’s convenient but they should be every day components of your life. In my latest novel, it’s called Intuition, that’s the best yet because it talks about following your God-given intuition, and whatever your faith is, intuition is critical in understanding life and being who you truly are and so following it can save you from a lot of negative things and aspects in your life that you will face, but if you trust your intuition, you trust what is inside of you, a lot of those answers are already right there and we go seek and talk to people and say: what should we do? God has given us that internal intuition, which is our internal… you know, we listen to our internal GPS, well our intuition is just like that. All of my stories encompass faith, healing, love — anything positive, you’ll find it in one of the books I write or ghost-write. JEFF: I was looking at some of the awards you’ve received telling real stories, providing real insight and real inspiration. I love when books like yours are recognized and rewarded. A couple of awards I noticed were that you were Oprah’s Ambassador of Hope, you’ve been recognized by the Ohio House of Representatives, United States Senate, Special Congress, you were voted one of the 20 Outstanding Women You Should Know, and you’ve been a finalist for almost every book award you could possibly think of. My question for you is: when you first started telling your story, did you even know all of this was possible? MARALA: You know, what I did know, and the only thing I knew is that God had a plan for this. I just needed to be obedient, and he would open every door and it would happen in his time. That’s what took me so wrong to write the book is that it wasn’t time. I had written the book 13 years before it even came out and just shoved it in a box and put it under my bed and left it there. It was done and I had let go of all of those emotions but it wasn’t time. When the time came, that’s what life is about, sometimes our time isn’t his time. I never knew. I don’t know what’s in store, but the plan that he has for our lives is so great — just follow it. I followed it, and wow, with this happening and what I’m able to touch and do with life is beyond what I ever imagined. My life is more important and the changes that he’s made because I’ve been obedient to sharing what I’ve gone through. I never know what God has in store, it’s amazing. You just go, you just blindly go. That’s blind faith. Being Oprah’s Ambassador of Hope was one of those things. I never saw that or expected that to happen, but that alone has allowed me to really have the attention of many people’s ears to understand what it is I’m trying to share for their benefit and I love it. I love being able to do that, and that was quite an honor, and that came off of the heels of In Our House because of that book, the message in it, and what I was sharing. JEFF: Do you believe anyone can overcome adversity? Or is it just for certain people? MARALA: Anyone. I’ll tell you why, because I’m one of the people that people say there’s no way you should ever forgive for what happened, I would never be able to do that. That’s what I hear over and over again that the people that read the book: how did you do that? How? There’s no way. People are angry when they read the book, with my father and whatnot and some of the things that happened with the woman in the book but I say: you know, it’s a decision. Just like we can decide to get up and go to work, we can decide to impact someone’s life. We can decide what we’re going to wear. We make decisions on every facet of our life, so to let go of pain and change the direction of my life, is a choice. I made a choice. That’s all it is. Anyone can make a choice to overcome adversity if they are willing to let go of their past, keep in mind – it’s a path that we cannot and will not ever be able to change. It is not for us to change. History has caused that for a reason: it remains history. Staying in the past doesn’t allow you to live, it’s the future. You can’t live in the present, you can’t live in the future. So, overcoming adversity is an absolute choice and anyone does have it at any given moment, even in your darkest hours. You think of in Hawaii, a place you see beautiful flowers growing out of the lava. How is that even possible? We are surrounded by inspiration and things to help us. There are so many people with incredible stories of overcoming adversity that you would never think you can, and then there are people that we in truth remain a victim, as long as you’re a victim you can’t overcome it. You have to stop allowing yourself to be victimized especially after it’s over. When it’s over, it’s done, as horrible as it is. I’ve been through so much horror, but it’s over. It’s a choice. Overcoming adversity is a choice. To be stronger, wiser, more faithful – it’s a choice. JEFF: How would you describe your mindset while you were going through these challenges? MARALA: Well, my mindset when I came out of our house and began my journey in life which was almost recreating my life from something different because I didn’t want to repeat that cycle. I didn’t want my son or daughter to end up in the same cycle that I was in. I had to change my mindset in order to change my life. You cannot stay and keep that mindset. Any part of it, you cannot hold on to it. If you want to let go of it, let go so you can have a clean slate. It can be fresh, you can renew it, you can create whatever you want. Life is nothing but a huge canvas for us to recreate and be and do whatever we want. I had to get to that place. As long as I was holding on to negativity, which I did for several years, I wasn’t going and accomplishing nearly what I could have. I didn’t love freely, I didn’t trust. I was angry, and it wasn’t who I wanted to be. When I made that choice to change, it actually came quite easily because it was like night and day. I tell people that you have to learn to let go. Hate is powerful. It’s very, very powerful and forgiveness is too but one heals and the other destroys but you have to make a choice about which end of the spectrum you want to be one and I chose forgiveness so I could heal. JEFF: Throughout this journey, what are 2 -3 habits that have allowed you to be so successful? MARALA: One is follow your passions. Everything I do in life, I’ve absolutely loved it because I’ve done what is true to me, who I am. 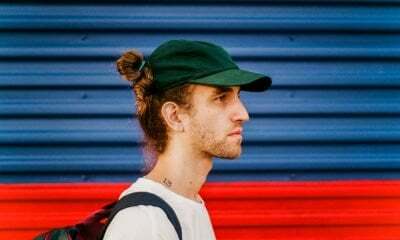 And I’ve talked to people so many times that say they hate their career, and the first thing I say is ‘well change it.’ And they say ‘well, you know, I have my bills, I have this…’, ‘well then change your mindset, and find what you like about it.’ You know, if you’re gonna hold on to a one-way or another, then find something you CAN build upon to make it better. 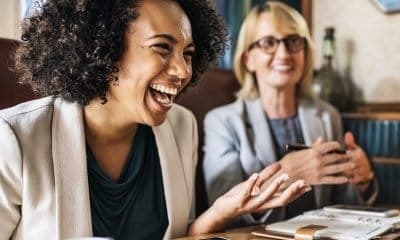 If you’re working and you hate your career, find something good about it so you can move into another division, another capacity that you can grow, and change it. Change is essential in our life, number one. Number two is forgiveness. The power of forgiveness can help you overcome things that you don’t even realize you’re holding on to. It’s like liberating your spirit, letting go of negativity, and it’s freeing yourself from everything that you really don’t need, that you absolutely don’t need, just letting go of it. And you learn that things don’t bother you as much when you know you’re not going to carry that animosity and anger. So, the other thing I’d say is connect to your faith, whatever your faith may be (I’m a Christian) and, you know I tell people I recognize that you have to have faith. Being the ambassador of hope. I love the name ambassador of hope. It’s a beautiful title. However, I believe in fate. I believe hope is a stepping stone to having faith. Once you have pure faith, you no longer need hope. You don’t. And so, for me, I don’t need it anymore. There was a time when I hoped for everything, but if you see the place of hope, that’s all you may ever have, is hope. You know ‘I hope I get a good grade on my test’, ‘I hope that I meet the person that I’m gonna fall in love with’, ‘I hope my children do better in life’, ‘I hope that I get a better job.’ But what happens is that when you have faith, you transcend into believing. It’s the unseen, unheard, everything that you never think of, you don’t worry about it. You walked in blindly, blind steps, and you know that it’s going to happen. And when you have faith, you remove fear; you no longer have fear. So when you have your space and you learn to hold onto something that is the highest power that you can have in life, that fear will dissipate. You no longer have it, and you will be able to succeed in whatever you do. You’ll find your way. It may not be the first way you do it, it may not work that way, but you will not be afraid of trying again! JEFF: For the people who are struggling to find their voice, who are struggling to find the empowerment in their story; what’s some advice you could give them? MARALA: You know, one thing that I’d say is that you need to take control of your life, because this is your life. You should be the one to write the script and take the leading role, not someone else. Take control, run it, do it, experience it, but do it with passion instead of pain. And when you look at your life, if you take off the blinders, stop making excuses, and look at it for what it is, the truth about it, that’s when you can begin to heal and, through your message be, able to heal others. See, people are afraid to share their negativity and say, ‘hey, this is what happened in my life’ or ‘this is what I overcame.’ It’s funny, because when I do stories, I tell people, ‘Hey, you told me about someone else and you told me what they did to hurt you.’ ‘But what did you do? What did you do to cause that? Come on, it takes two! So what was your input in the destruction that happened? What could you have done?’ And until you see both sides of the story and you can look at it objectively, you’re not willing to heal. So, in order to write a good story, you have to write a true story; be true to yourself; be true to the message; be true to the history; be true to everything. Don’t be objective to make yourself look good, because you can’t help people heal, you can’t help others, you can’t inspire them, because people connect to truth. That’s why I had a great deal of success is because when you tell the truth, people can hear it, they can feel it, they know, ‘like wow! She sat here and was bearing her soul and told us what we needed to know. I can connect with her because I know that if I ask her something she would have told me the truth. I can learn from that person.’ People learn from people. We can inspire and encourage people, but we can’t do it if we’re lying, and trust me– liars know liars. And people who are truthful know honest people. They can feel it. The spirit resonates from within. It comes out and resonates. So what you wanna do is be honest about what your ultimate goal is. Tell it, feel it, experience it, share it, love the honesty that you put on paper, and then let what’s gonna happen happen, and if you don’t wanna share it, you got it out of you in a truthful manner, you can put it in a book, in a manuscript, burn it if you want. But you got it out of you. And you did it the right way. Sometimes people have secrets they don’t wanna share with the public, so write it and then get it out of you, acknowledge every bit of truth, removing every bit of pain, and sometimes a lot of times when you go back and read it, you realize a) it wasn’t as bad as you thought in some aspects, or b) there are lessons in there that are so powerful that you wish you learned them a long time ago, so clearing your mind and doing it with honesty helps, that’s all I have to say about that. JEFF: If I was looking into your book case, what books might I find that you’re reading? MARALA: You know the funny thing is, up on my bookshelf in my office, there is nothing but inspiration. You know, Joel Osteen, I love to read his books, because there’s a lot of power in them. Anything Joel Osteen, I like his books, there’s a lot of things that I read that are inspiration. However, when I’m writing, I feel I don’t read because I don’t want to be influenced by anyone’s style or anyone that I’ve been writing for a long time, so I stop reading except when I’m far in between books, but I would tell you that I do love Langston Hughes; there’s a lot of soul in his stories, and when I start writing, he was an inspiration to write from your soul because when you read his words, there’s passion in them, and when you’re writing with passion, the only way to get that is to write with truth, so that was an influence with me. But my library is quite diverse, it is quite diverse. There’s politics in there, there’s, you know, it’s mostly inspiration, but, you know, I just love books that teach your soul, and I love truth, I love memoirs and biographies and things like that. JEFF: How do you define inspiration? MARALA: Inspiration is something that God gave us that you can turn around even in your darkest hours, and you can see it, you can feel it. For example, I had brain surgery, three years ago, and I had multiple brain aneurysms and I was given an unfavorable diagnosis almost nine years ago and they told me I wasn’t gonna make it. And, I turned around, and I said ‘you know, there are kids down these corridors in the hallways that have overcome things that doctors said they couldn’t. They’re in there, and they’re in pain struggling through cancer and they’re still smiling, and their parents come to feed them, the parents are crying, the children are happy, trying to cheer the parents up. That’s inspiration to me– Inspiration lifts. God gave us something every day, all around us, even if you look up the window and see a flower that’s blooming and the beginning early spring before everyone else. That’s inspiration. If you see it coming and its freezing cold outside, but it’s still making its way up to the ground. Inspiration is when I look out the window and see deer in my backyard. That inspires me to see the greatness and beauty that God created. And you look beyond the darkness and you can see what God created, anything that He touched and put on this earth. That inspires me. That He made, not what man made, not the destructive orders that we create, but what He made. And we’re surrounded by it. We’re surrounded by laughter, we’re surrounded by love, we’re surrounded by people that you may not realize it, but they care more about you than themselves. They give every day. They’re out there selflessly helping. What you’re doing! 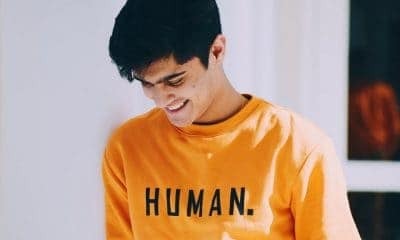 What are you doing, right there in India? That’s selfless help, right there. That’s inspirational to me. There are people that get up and go take food to the homeless or blankets to them in the cold weather, they work in shelter. I raised my children to do these things, and that’s inspiration, when you’re giving up yourself, selflessly. You’re not expecting anything, any accolades, you’re not expecting or wanting anything from it. When you can do it and walk away and you know what was right. Inspiration lifts. It lifts others, and it will lift you too. That’s what inspiration is to me. JEFF: So, Ms. Marala Scott, what’s next? What else do you want to do and accomplish and give? MARALA: I’ll tell you, as crazy as it seems, this is it! I’m doing it. I love what I’m doing and changing lives, you know, I ghost-write some incredible stories for people and watch them learn and transition into being a better person. I get to share my message nation-wide. And it doesn’t matter on what level it is it’s being done. And if I’m touching one life, two lives, three lives here and there, it’s making the difference. It makes my life worth it. So, no matter what platform God has for me, I’m doing it right now. I’m absolutely doing it. JEFF: What is some advice you would give someone about going for their biggest dreams and goals in life? MARALA: You know, when you do it, do it with passion. Don’t doubt it. When you doubt yourself, it’s going to come across in whatever you do. You may stop halfway through, you may stop a quarter of the way through. When you begin something, begin it and finish it, no matter what. Finish it, find a way. And the path that you may be taking, it may not be the right path, so you might have to change a little bit, and go one way or the other, from time to time, and that’s okay. You may have to stop, you know, if you have something that comes up, but pick it back up. Follow your passion through life, because in this life, it’s a gift. It’s meant for us to make the best out of it. So whatever you do, if you go through it, go through it with honesty. Go through it with integrity, go through it with compassion, go through it with love, go through it with intellect and learning and willingness and eagerness to learn more. Go through it with humility, but go through it. Whatever you write, whatever you share, just do it from your heart. That’s it. JEFF: When can we get our hands on your new book? MARALA: March 31st, yep. March 31st, so exciting! JEFF: Intuition! In stores now! MARALA: This is my best ever. The message — oh my Gosh. I see this for everyone, and it’s powerfully delivered, so I love it. I’m excited. And it’s co-authored with Alyssa Curry. So it’s amazing. JEFF: Great, excellent. Thank you, thank you so much. I can’t wait to get my copy! 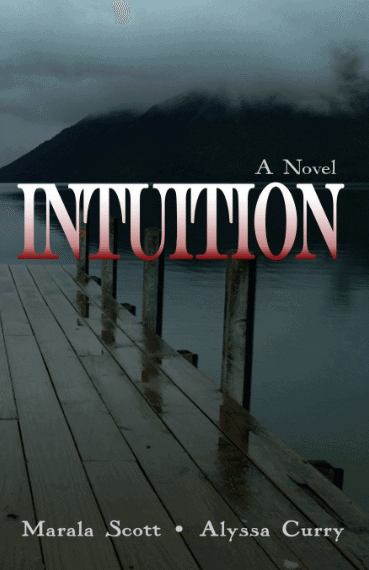 Get Marala Scott’s book Intuition here!